For the third consecutive weekend the Quinnipiac Bobcats men's ice hockey team swept a weekend series and this one might have been the most impressive of them to this point. 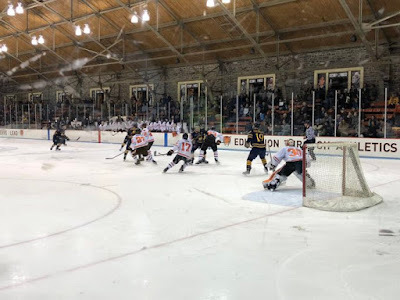 Quinnipiac swept the defending ECAC champions by a combined score of 9-3 over the two nights including a 6-3 win at the Hobey Baker Rink in Princeton, New Jersey. The win moved Quinnipiac's record to 13-2-0 (6-2-0 ECAC) and sets up a key home and home match up with UMass next weekend before the first semester closes out. Five of the Quinnipiac goals were scored by seniors including two each from Chase Priskie and Craig Martin who opened the scoring and closed it for the Bobcats. Quinnipiac trailed after one period 1-0 on a Jackson Cressey goal. But they struck quickly in the second just 1:29 on a Craig Martin goal. 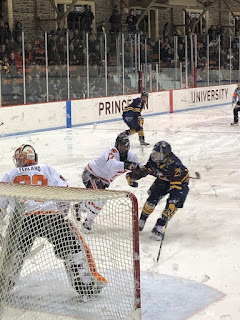 Princeton would take the lead back not even a minute later when star forward Ryan Kuffner found the back of the net. That would be the last Tigers lead of the night. From there it was an offensive explosion for the Bobcats with goals from freshman Michael Lombardi, Luke Shiplo and Chase Priskie. Princeton got one back with Jackson Cressey scoring on the power play his second goal of the game. From there Quinnipiac put the game out of reach when Chase Priskie scored with a bomb on the power play. The goal gave the captain his 6th on the man advantage and 11th on the season. After jumping out of the box for serving a tripping penalty Craig Martin raced down the ice and beat Ryan Ferland to the loose and made a move around to put it home into an empty net. Odeen Tufto had three assists while Peter Diliberatore had two assists. 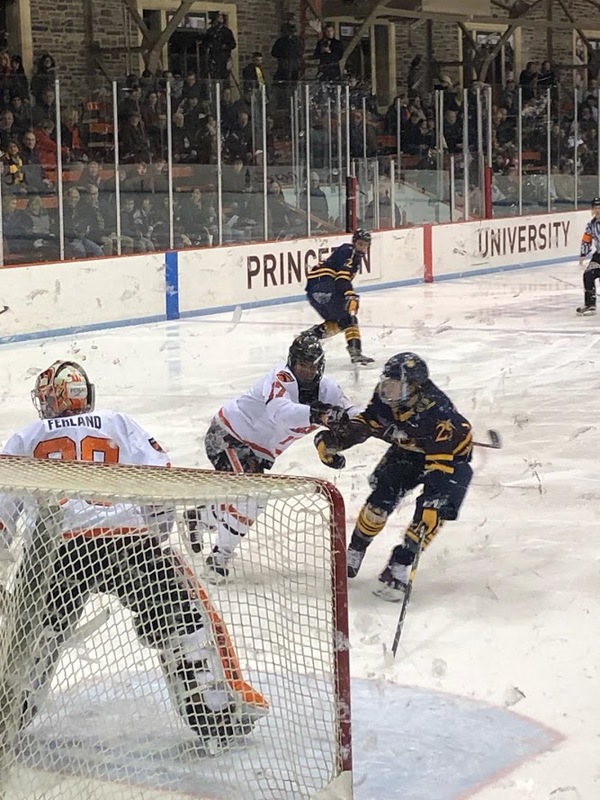 Keith Petruzzelli made 27 saves in the win while Quinnipiac survived seven Princeton man advantages only giving up the lone goal on the man advantage. The Bobcats six game winning streak is the longest since the 2015-2016 campaign when they reached the Frozen Four. Next week presents Quinnipiac's biggest test to date against UMass Amherst in a home and home series against the top ranked team in the pairwise and one of the best players in the country in Cale Makar.